Karanda offers many opportunities to work and study, see below for these opportunities. To apply to Karanda Nursing school you must wait until the application period is published in the Herald newspaper. The instructions are traditionally announced sometime between mid-January and mid February. To apply, simply follow the instructions on the advertisement. To learn more about doing an attachment at Karanda Hospital please contact us and inquire about the opportunity. Housing is severely limited at Karanda and postings are highly competitve. 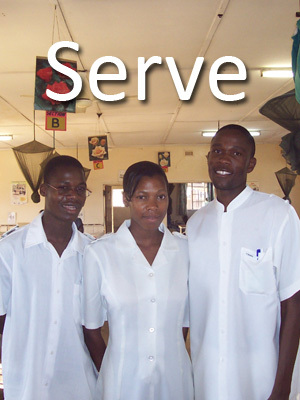 To do a rotation at Karanda you must apply through the medical and dental practitioners council of Zimbabwe.